In the summer of 2012, Tibco launched a new version of its messaging bus called Enterprise Message Service (EMS). TIBCO Enterprise Message Service lets applications consume or publish messages according to the Java Message Service (JMS) API. How to get the central administration running on your machine. Once converted, you can start your EMS server but now using the json configuration file. I’ve saved mine as emsca.properties in the EMS_HOME/bin location. Start the central administration server with the command tibemsca.bat (or tibemsca.sh). By default the server will look for a file called emsca.properties in the current working directory. By default, the Central Administration server does not automatically configure an SSL connection or requires users to pass login credentials. 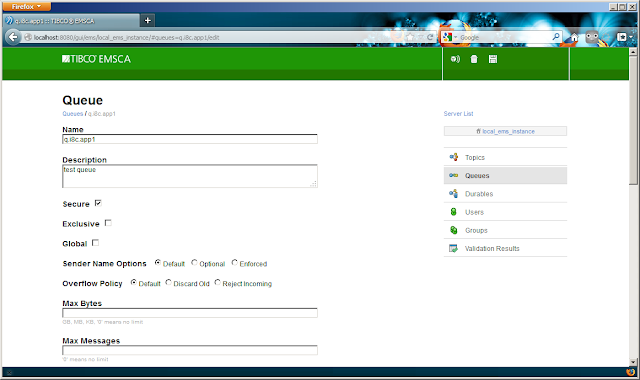 The Central Administration server uses the same username and password to log into the EMS server as was used to log in to the Central Administration web interface. But as said by default there is no login and so it uses user ‘admin’ with no password. You’ll have to configure JAAS authentication to make it work with a password. (I’ll leave some room for a next blog post). When typing a name (e.g. local_ems_instance) without spaces, clicking on create, and passing a url of your EMS server (e.g. tcp://localhost:7222) you are good to go! 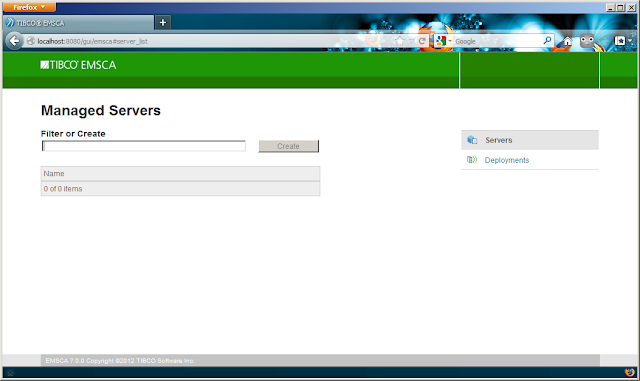 Configuring your EMS server using the web portal. 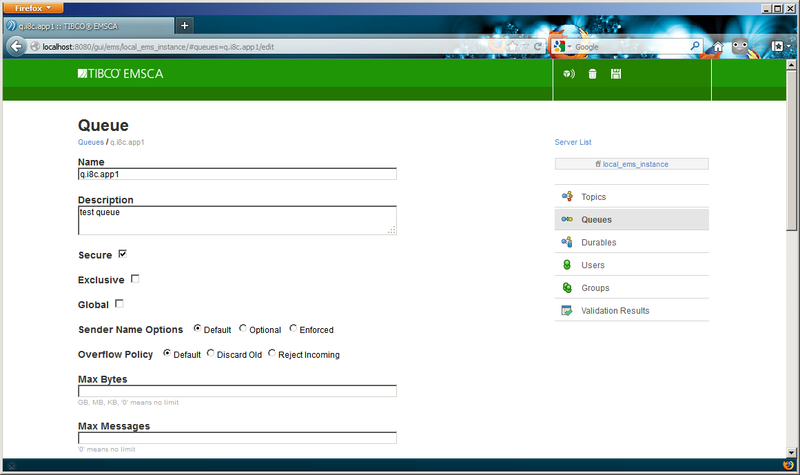 Hi, looks like you have shown us how to intall Tibco EMSCA - Server. Could you please show how Tibco EMSCA - Client is intsalled?